Welcome to Day 7, if you are just arriving for the first time all the details and the linkup can be found HERE! 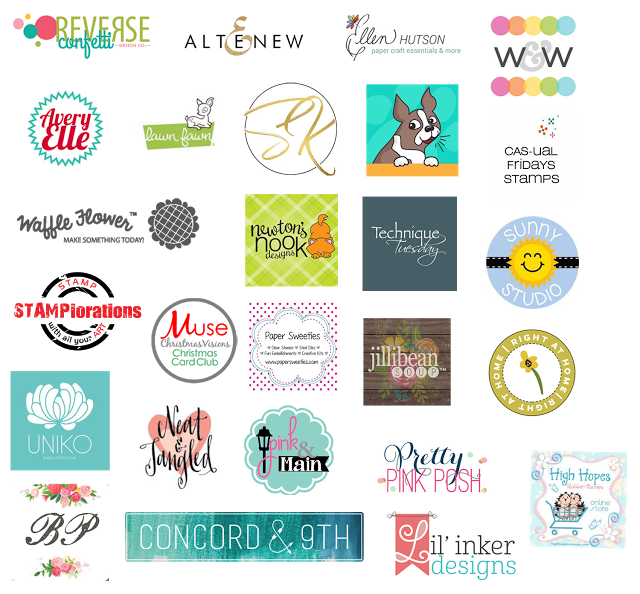 Today I have Birch Press Design as my guest! Birch Press Design is offering a stamp set of your choice to one lucky winner! ...and a few from me! I have a post over on the Birch Press Design blog today about how I put these tags together! I am up on the Birch Press Design blog today with a post about how I made these ornament tags. I've been seduced by those very pretty little poinsettia's today! All so pretty, but alas... I can only choose one! and absolutely adore those snowflakes! Beautiful! I love this snowflake tag! Beautiful snowflake tags, and the mini poinsettia tag is gorgeous. Love them all. Your Snowflake-tag is just gorgeous ! Stunning! Love alllll the pretty snowflakes! I adore that stacked snowflake!! Especially inspired by the glitter peeking out! I️I like the seemingly simplicity of the tags. You always make me drool over the Birch Press items. Here we go again! Gorgeous! All of your snowflake tags are so pretty, Tracy. Thanks for introducing me to Birch Press! This snowflake die is absolutely gorgeous! I love all the pretty combinations you can create with it! Oh my word Tracey your tags (I would SO use these for ornaments!) are simply stunning. Beautifully done. Beautiful tags, I'm not familiar with Birch Press, I shall go check them out! thanks for sharing! I really love the BP snowflakes--so gorgeous! Love Laurie's poinsettia tag, too--may have to case it! Lovely tags, all. 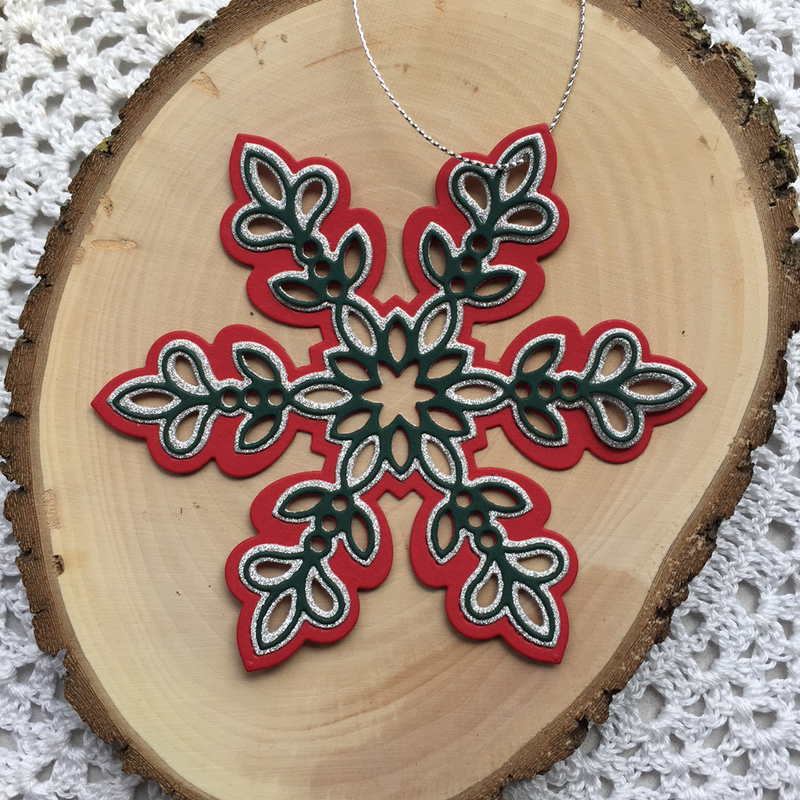 Stunning with the snowflakes on the wood ovals. All of it so inspiring. Love the Birch Press dies. Looks like Christmas! Love the dainty snowflakes. What a fabulous post! Jeanne Jachna's tag took my breath away. Those colors.....and that divine die-cut (must have). SO pretty. Thanks for sharing so much fabulous inspiration. Beautiful tags! All the snowflakes are stunning! I don't know Birch Press Design, but I love the look of that bold snowflake, so I'm hopping over the BPD website to have a look. Love the beautiful ideas, love love love those pretty snowflakes! WOW! I LOVE these SO much!!! Love Birch Press Designs, but don't have any of their products yet! That snowflake die is just gorgeous! The possibilities in the colorations is endless! And I love Poinsettias so I really adore Laurie's adorable tag, too. Love these tag ideas. It seems so much simpler to create in a smaller size. I will have to try these ideas out. I have some snowflake dies. I'll have to see how I can layer like this. I love all the pretty snowflake tags. They are so elegant and delicate! the layered snowflake die is amazing!!! I love the newer companies that are so innovative! Birch Press' layered dies are amazing!! Some gorgeous tags today! All beauties with Birch Press! Oh, my... those snowflake shape tags are amazing! I am in love with those! The poinsettias are pretty too. These are beautiful tags! Just recently started hearing the name Birch Press Design come up. Looking forward to checking them out. Really love the layered snowflakes. The possibilities are endless. All of these are sweet! I especially love the snowflakes with their glittery goodness! TFS! Birch Press is a new-to-me company that I most definitely need to check out. I love your tag Tracey! Awesome tags! Love the mini poinsettias and the gorgeous snowflakes! The snowflakes make such beautiful tags. Thank you for sharing! Stunning tags and thank you to introducing me to Birch Press Design. 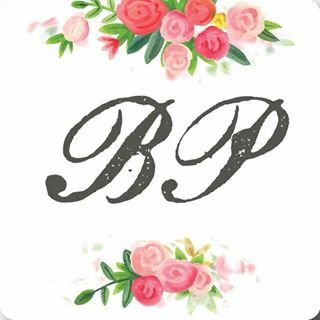 I'm new to Birch Press Designs. 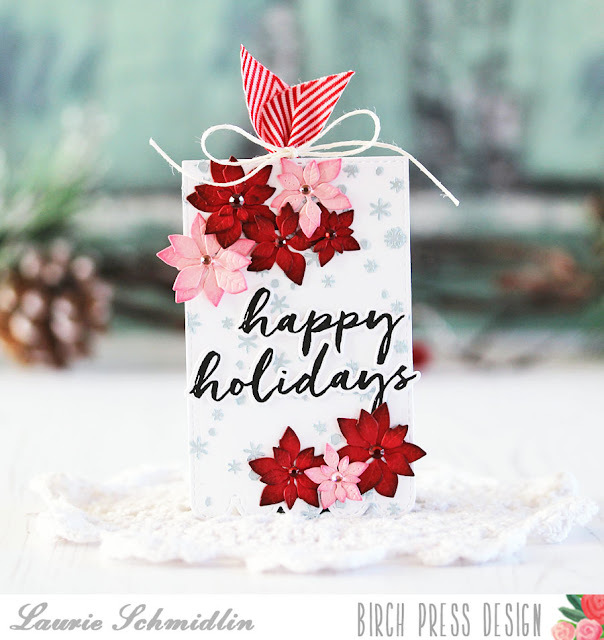 Love the beautiful snowflakes and the tag with the poinsettias! I am drooling over all pretty design, such pretty snowflakes! Love Jeanne's snowflake in pink with gold! Wow, some gorgeous tags!! I love that layered snowflake die. Your different colour combinations are lovely Tracey! 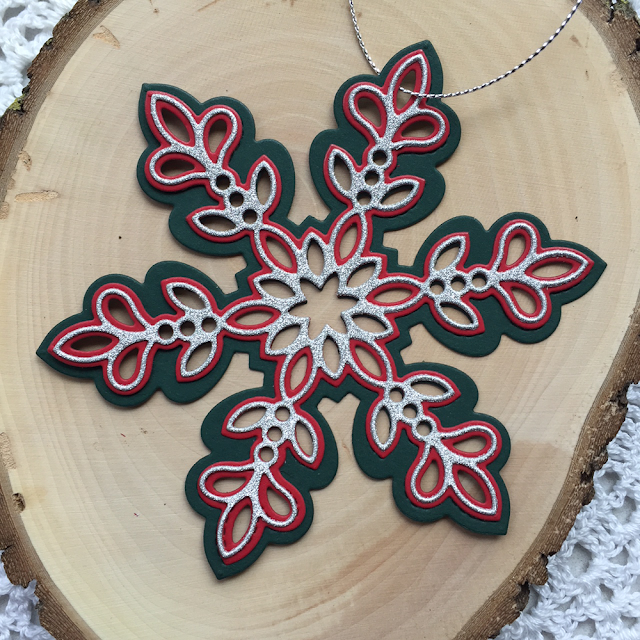 Both the snowflake die and the poinsettia die are gorgeous. hard to choose a favorite. 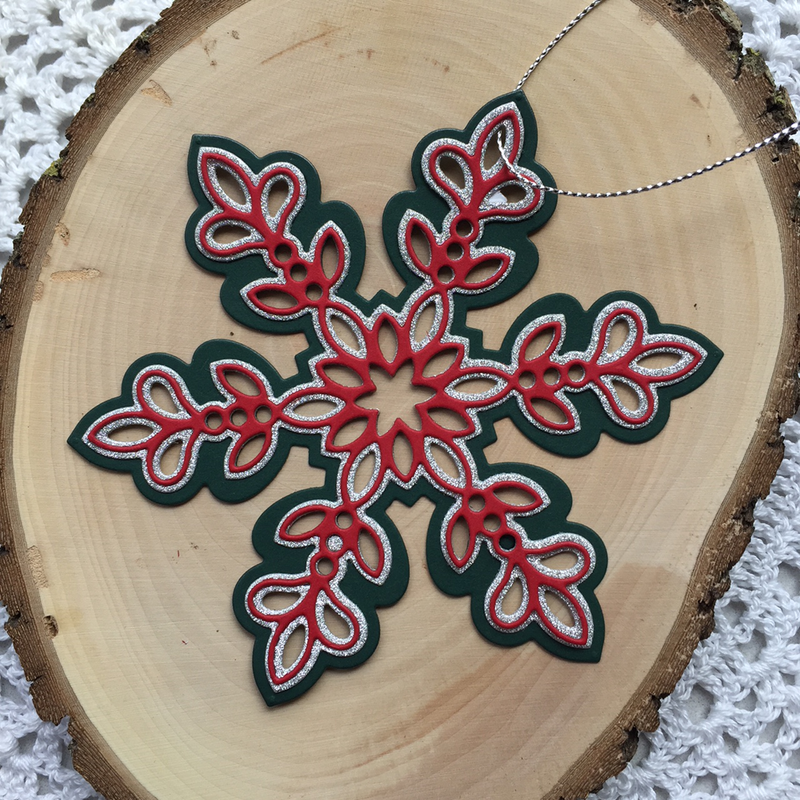 Beautiful snowflake tags/ornaments. Love this die ! I love the snowflake tag. Such an easy and beautiful tag. These are so very elegant! Such beautiful designs! It's hard to pick a favorite from all of these gorgeous tags. I love the different colors that Jeanne used on her tag, it really stands out. Inspires me to do something a little different. Thanks! Oh my gosh the ornament tags are amazing!!! Gorgeous! 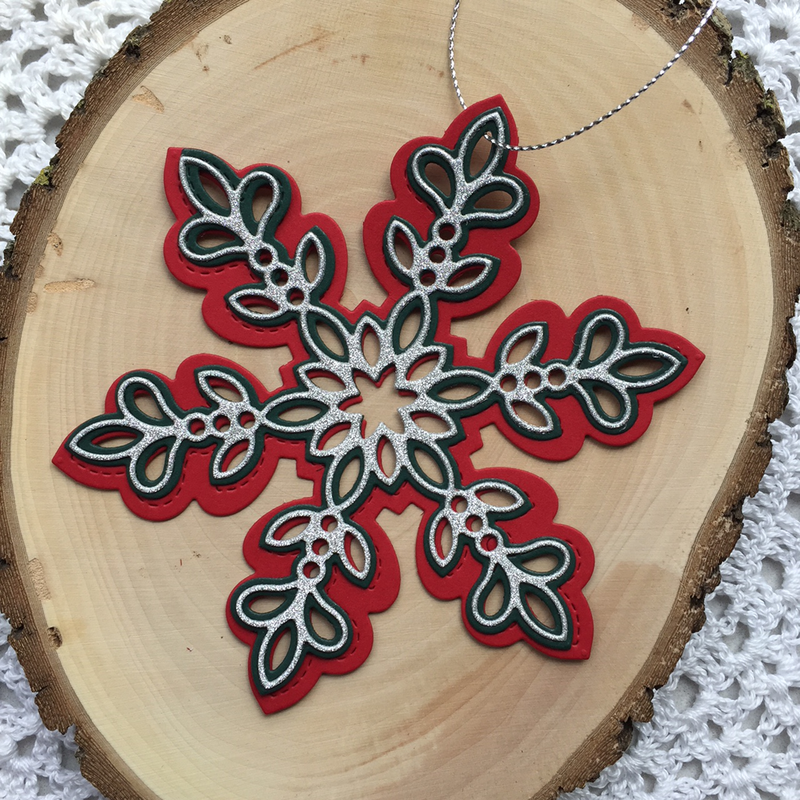 Love the intricate snowflake! Inspired to make gift decorations, not just tags ... how cute would one of those snowflakes be on a gift!?! Beautiful tags - love them all!!! That snowflake is so pretty!! Wow! I'm so much inspired by these amazing snowflakes ornaments!!! They're so beautiful!!! I LOVE that fun snowflake die!! Your tags are amazing!! Beautiful snowflake tag-ornaments! Love these layering color combos. Birch Press is new to me and I’m so impressed with their crafty goodies. The snowflakes are stunning, love all the layers one can get with the BP dies. Beautiful inspiration! Fabulous tags by Birch Press Design, love that snowflake die. Birch Press is a new company to me, I love seeing their products in the wonderful tags today! I especially love the snowflake! Love the elegance of all these tags! I love these tags! I love love love your tags! So pretty! Wow... these are all gorgeous! Love Birch Press Design.... such fabulous dies! Oooooh I love all these beautiful snowflake tags. I am totally inspired to make some of these as they look quick n' easy! The snowflake die is so beautiful. Love the Birch Press layer dies. Especially the Peony one. 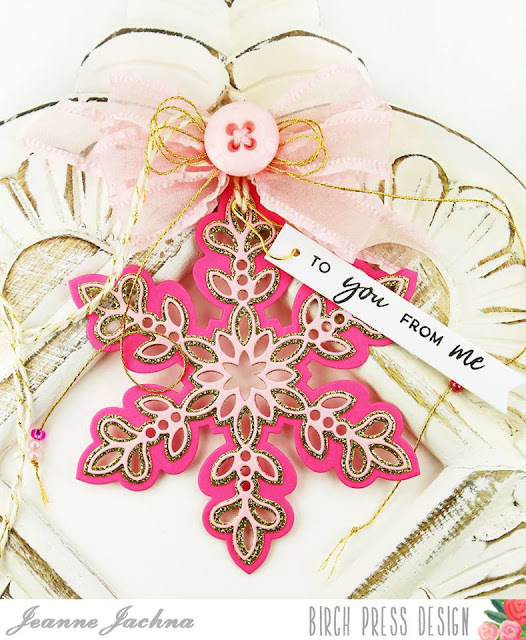 The colors Jeanne used on her pink and gold snowflake are very inspiring. Love seeing a traditional christmas item in a non traditional color. Fantastic tags - love all the snowflakes and poinsettias. The gorgeous snowflake die makes a beautiful ornament! Wowzers!!! Those layered snowflakes are absolutely stunning!!! What a great idea to make a shaped tag! Laurie's tag had me at pink and red! I love these colors together! My tag was inspired by hers and I used red and pink as well as poinsettias. love the snowflakes - great idea for Christmas tree decor too! I adore those snowflake tags! So fun that you are introducing new to me companies! Beautiful work. Snowflakes are a favorite about here. Love all the combinations. Birch Press has such amazing dies! Absolutely love them! My favorite is Jeanne's pink snowflake. Love the combo of colors! Oh I love those stacked snowflakes tags a lot! So beautiful! 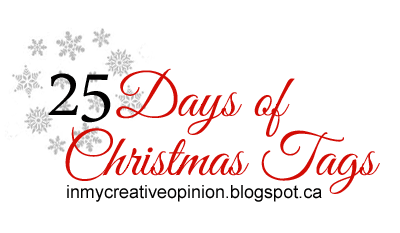 I love the Tag by Laurie S. with the precious pink and red poinsettias on it. Very pretty! Thanks for the inspiration. I need to check out that Birch Press snowflake die! I used it as my inspiration substituting dies I owned. Birch Press is so fantastic !! Their Layered dies are just so unique and awesome.